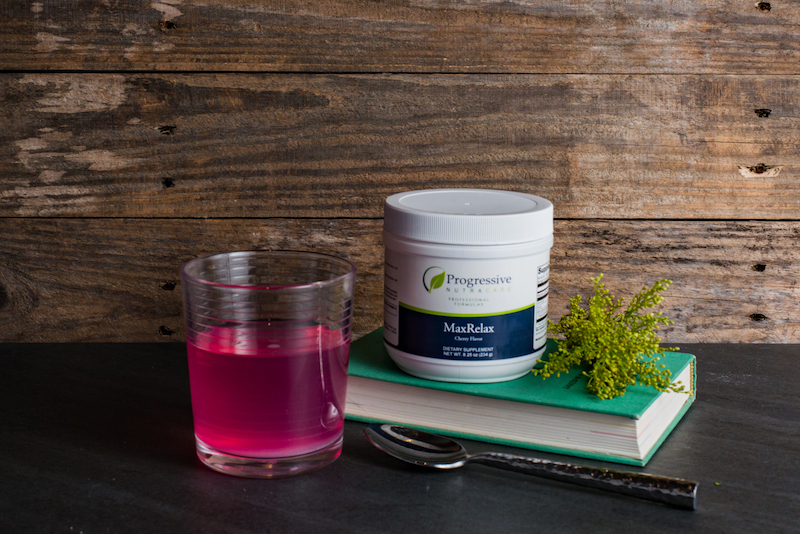 Magnesium is the fourth most abundant mineral found in your body and plays an essential role in over 300 metabolic process that involve nearly every tissue. Magnesium deficiency is common and results from poor dietary intake, poor absorption, alcohol intake, prescription drug use and drinking soft water. MaxRelax is an innovative formula in the form of a cherry-flavored powdered drink mix. MaxRelax contains a synergistic blend of ingredients known to regulate cathecholamines and up-regulate the inhibitory neurotransmitter, GABA, the formula aims to promote a calm, relaxed physiological and emotional state. MaxRelax supports a relaxed mood, inhibitory neurotransmitter function, neuronal stabilization, healthy blood pressure, intracellular osmotic regulation, and is important in neuronal transmission. MaxRelax is a nutritional supplement intended to provide optimal magnesium support for over 300 bodily processes. MaxRelax is for individuals with a magnesium deficiency or who may suffer from headaches, hypertension, anxiety or muscle issues. MaxRelax is intended to take 1 scoop dissolved into 6 oz of cool, pure water and drink 1 to 2x’s daily or as directed by your healthcare practitioners.